Based on the number of times that I have audibly laughed at my desk today, I'm just going to put this out there: 2010 has been a great year for online April Fool's Day pranks. 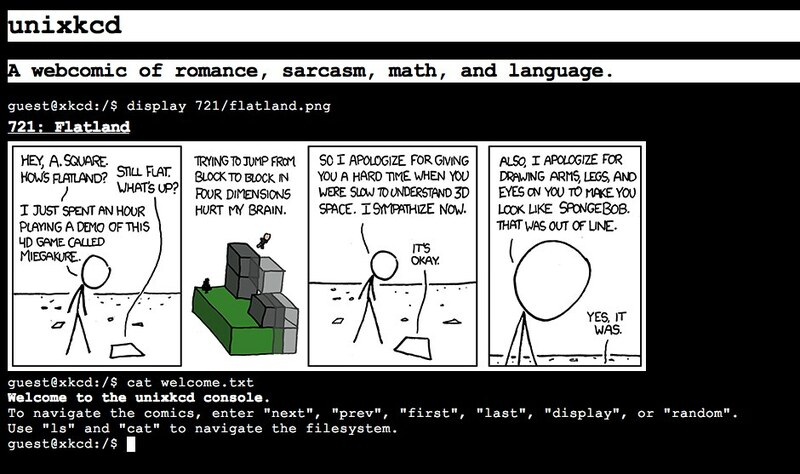 unixkcd (my personal favorite): the popular web comic has turned itself into a unix terminal. Highly recommend typing in "echo", "cat", or "make me a sandwich", among other things. Update (via @mattcannella): Type in "find kitten" to play "Robot Find Kitten". 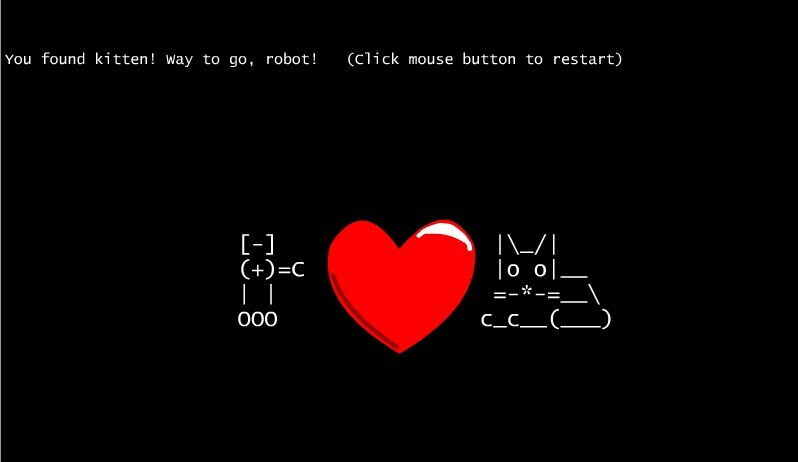 Cats, robots, and the internet, what could be better? ThinkGeek has a number of new products, including the 2001: A Space Odyssey Monolith Action Figure, and an incredibly disturbing "My First Bacon" toy featuring "velveteen pork flesh". 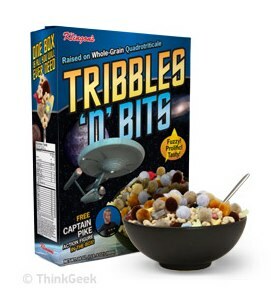 I also just discovered the delightful Tribbles and Bits cereal on the same site. 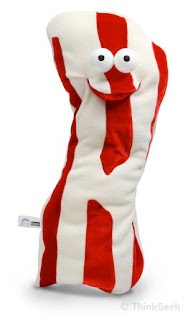 I dare you to click the picture on the product page that says "Do. Not. Click." "The moon has a surface area of 3.793x10^7 km^2. 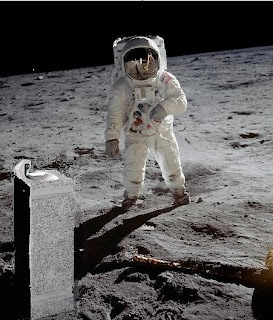 With 10^38 unique addresses, we can divide the surface of the moon into 3.793x10^19 individual square millimeter patches and still be able to give unique IDs to up to 2.64x10^18 grains of dust in each patch." @krynsky pointed out this awesome "Space Travel Price Quote" website from BuyerZone. 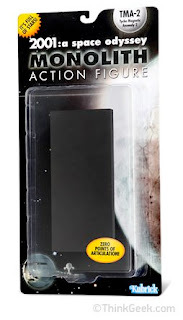 Cool idea, perhaps a few inaccuracies, but overall pretty entertaining. @JimmiC found out that Opera has ambitions to be the first browser in space. 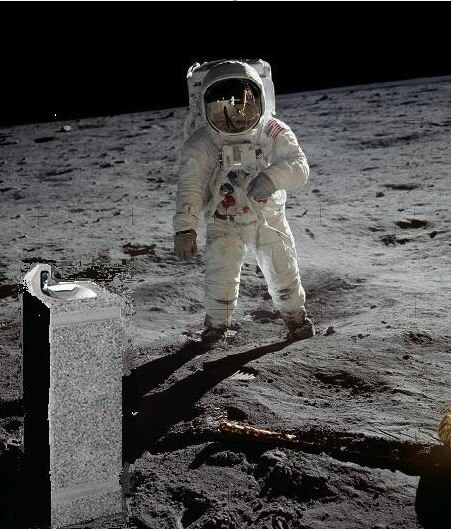 Now THIS is going to be my kind of 21st century space race! What are some of the best online jokes that you've seen today? Bonus points if they are space-related! Post them here, or @-reply us on Twitter.